Two part TV adaptation of Louis L'Amour's third novel in the Sackett series. 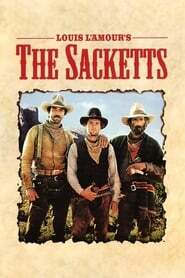 The story follows the three Sackett brothers out west from their Tennessee home. Along the way the oldest, Tell, prospects for gold, while the two younger Orin and Tye herd cattle and later help bring order to a racially divided Santa Fe.